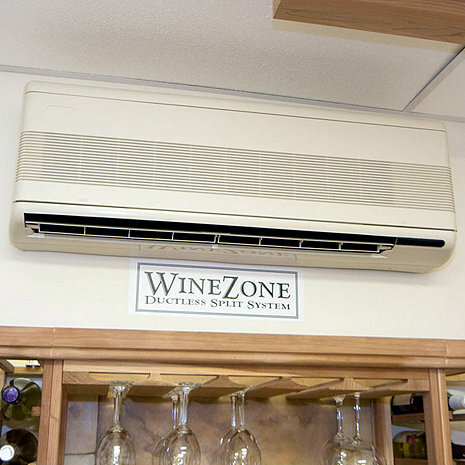 Ideal for rectangular rooms requiring less than 15' of "throw"
Please contact a Wine Storage Consultant to conduct a Heat Loss Calculation to ensure the proper size WineZone is being used for your cellar. Compatible for use with refrigerants R-22, NU-22B, MO99, and R427A. Indoor Unit: 28" x 24 1/2" x 17"